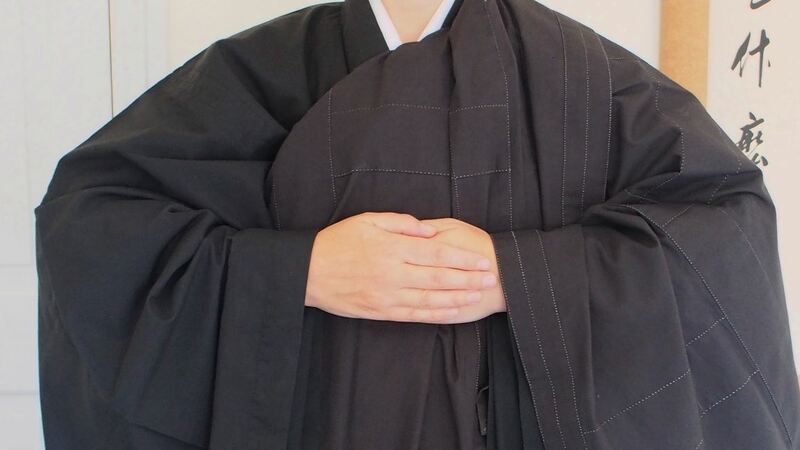 Shasshu: make a fist with the left hand enclosing the thumb, knuckles against chest. The right hand rests over the left, forearms are horizontal. We adopt this posture at the end of kinhin, and whenever we are walking in the dojo.